Luxury Everest View Trek is an unforgettable experience where you lodge in Nepal’s finest and comfy hotel while trekking. 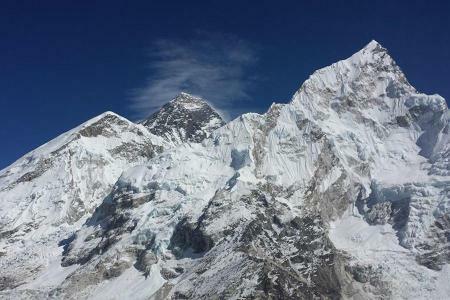 Spending overnights at lavish and comfortable hotels in Khumbu region as well as in Kathmandu and looking at the magnificent sights of grand mountain Everest along with other enormous peaks Ama Dablam, Kongde, Thamserku etc. 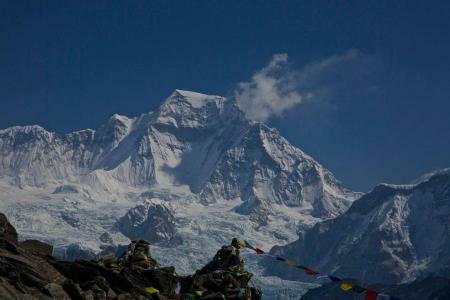 are the main attractions of Luxury Everest View Trek. Besides, you can also visit Sagarmatha national park enlisted in the UNESCO Natural Heritage list, the world highest monastery at Tengboche, budding rhododendron forest etc. are other charm of this trekking track. 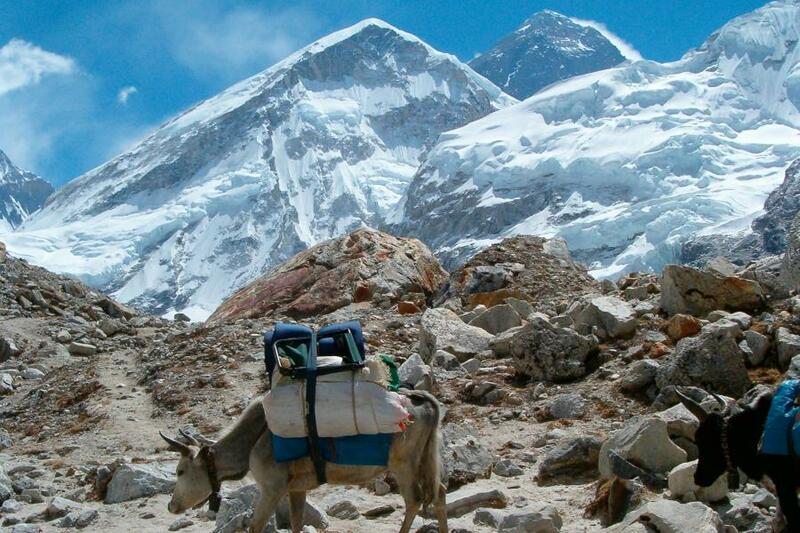 In addition, you will not just enjoy in the best hotels of Khumbu region bout also see the sights of Sherpa community and learn their customs. While trekking you will also pass through the gigantic waterfalls, arresting Sherpa villages such as Phakding, Tengboche, Namche bazaar etc where you can look at their lifestyle as well as take pleasure in their welcoming nature. Furthermore, in Sagarmatha National Park you can find a range of wild life like snow leopard, Himalayan thar, red panda and many other. 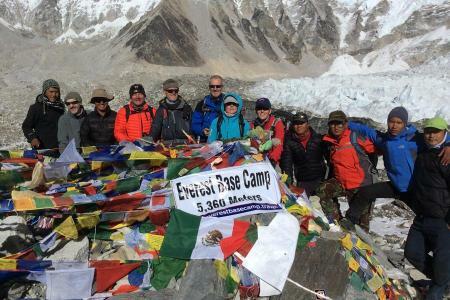 The perfect season to go for the Luxury Everest Base Camp trek is from September to December and March to May. 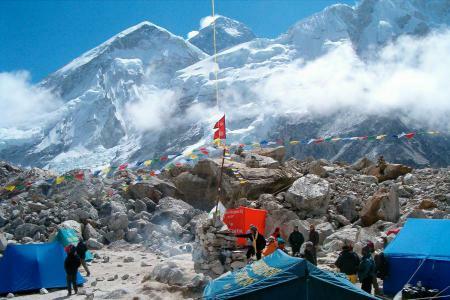 Arranged for offering attention-grabbing beauty of Khumbu region, pleasing villages scattered there and let you explore Sherpa culture in luxurious style Unique Adventure International Trek designs Luxury Everest View Trek as per your schedule and desire. After your arrival at Tribhuvan International Airport, you will be greeted by our airport representative and you will be shifted to Dwarika hotel. The employees in the hotel will manage your accommodation and check in. In the evening, a welcome dinner will be organized in the hotel. Overnight at Dwarika hotel in Kathmandu. Today, the sightseeing trip will start in the morning after breakfast. The major sightseeing attractions are; Pashupatinath temple, Swoyambhunath (the Monkey temple), Boudhanath; Kathmandu durbar square, and Patan Durbar Square which has cultural and historical significance and are enlisted in UNESCO World Heritage List. The afternoon includes a final briefing and preparations for the trek. Overnight at hotel Dwarika in Kathmandu. We today take scenic flight from Kathmandu to Lukla which will reward you with an amazing sight of the huge Himalayan. After you arrive at Lukla you will meet the Sherpa group. We now have a trouble-free steady 3 hours fall to Phakding. On the way, we will come through several stone houses until we get to Monjo. Tonight at Everest Summit Lodge. Today, from Phakding, we walk following the Dudh Koshi River and move ahead to a minor way up to Jorsale. Now, the tracks villages are combined with excellent forest of enormous rhododendron, firs, and magnolia trees. Next, we pace to Namche crossing not many bridges and go up a few hundred meters and one steeper ascend all the way all the way through the forest. Overnight at Hotel Sherpa Land in Namche bazaar. Today, we have an early breakfast, and from Namche Bazaar you will trek up to Syangboche. Overnight at Everest Panorama Resort. Today, we trek to Debuche via Tashinga. You go up up to the hill out of Namche to the national Park headquarter where you will see fine sights of Everest here. After that the trail winds its way all around the peaks and it drops downward the hill to the river before arriving at Tengboche. Ultimately, the path reaches to the small hamlet of Tashinga. The trail moves down all the way through forest of birch, juniper, fir, rhododendron before reaching Debouche, a striking spot located at 3,650m which offers superb views of Mt. Everest, Mt. 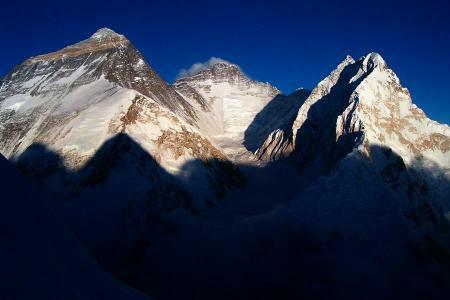 Ama Dablam, Nuptse, Lhotse and more. Overnight at Rivendell. Today we trek from Debouche for about 4 hours making our way back to Tashinga. Overnight at the Everest Summit Lodge. We, today descend to cross the Bhote Khola over the suspension bridge. There are some exciting Buddhist rock pictures in the area. Our path continues all the way through the village of Thame and back to Namche Bazaar. In the afternoon we travel down abruptly to the large suspension bridge which towers over the DudhKosi River. We walk through Jorsale and return back to Monjo. In the afternoon it is a short walk where we pass through Benkar through pine and rhododendron forest as well as huge views of Kusum Kangaru and we return back to Everest Summit Lodge. This is the last day of trekking, we final ascend to the airstrip at Lukla after a short walk on the valley. From Lukla we travel for 35 minutes and return back to Kathmandu from in the morning and move back to the hotel. Rest of the day we can relax. Overnight at Hotel Dwarika. Today, you will go for visiting Bhaktapur where you will witness temples, art and architecture which have historical as well as cultural significance. Here, you will explore around Bhaktapur Durbar Square, The Golden Gate, The National Art Gallery, The Palace of 55 Windows, Nyatapola Temple, The Stone Temple of Batsala Devi, Bhairavnath Temple, Dattatraya Temple, Surya Vinayak, Nagarkot etc. Besides, you will also visit the ancient temple of Changu Narayana which is situated on a hilltop that is also known as Changu or Dolagiri. The temple is located in Changu VDC of Bhaktapur District, Nepal. This hill is about 8 miles east of Kathmandu and a few miles north of Bhaktapur. The temple is bounded by forest with Champak trees and a small village, known as Changu Village. Overnight at hotel Dwarika. Sagarmatha National Park permit and Trekkers' Information Management System (TIMS) fees. An experienced fluent English speaking guide, trained by ministry of Culture, Tourism & Civil Aviation. 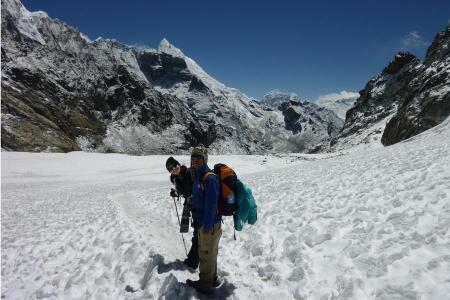 Highly experienced well equipped trekking porter. Passing through Namche Bazaar (gateway to Mt. Everest), explore 200 years old Tyangboche monastery, Pangboche monastery, legendary Sherpa people with their distinguished culture and custom, and panoramic views of the dozens of grand Himalayan peaks.